For years now, I’ve been frequenting virtual networking groups on hip impingement (FAI). Many patients get diagnosed, treated, rehabbed and move on with their lives. Unfortunately, some patients get stuck in the status quo, have trouble getting a correct diagnosis and treatment although hip pathology is highly suspected. Yet other times, patients have surgery to treat FAI and labral tears, but problems persist after surgery. When medical problems overlap, some patients end up dismissed by healthcare providers because their pain picture has become too complex. At times, complex regional pain syndrome or fibromyalgia is diagnosed. In my book I write about how it takes a systematic approach to diagnose someone where pain has escalated beyond just an ache in the hip joint and a clear-cut x-ray, CT or MRI impingement diagnosis, as well as and some strategies patients can apply to reach their goals. From personal experience, I know how hard it can be to get shuffled from specialist to specialist. So I was excited to find a summary from a recent hip symposium (hosted by The American Journal of Orthopedics) where a number of hot shot hip surgeons gathered to discuss surgical preservation of the hip and how the understanding of complex issues keep developing. For example, the symposium addressed the topic of layers of diagnoses some patients may experience as well as a discussion on sources of impingement. The hip and pelvis are complex structures but the hip symposium members demonstrated how doctors’ understanding of the hip and its disorders has matured over the last decade – and keeps developing. For example, there is broader recognition that a patient with hip impingement may not only have simple CAM or pincer type lesions. Dr. Reinhold Ganz, Dr. Bryan Kelly and Dr. Ira Zaltz discussed how conflicts outside the hip joint (extra-articular) to hip motion, such as subspine (AIIS, anterior inferior iliac spine) and trochanteric impingement, makes it necessary to assess a patient with hip pain looking at all aspects of the structures around the hip. The doctors stated that sources of secondary impingement can present as new pain generators after correcting other sources of impingement. In addition, doctors Ganz, Kelly and Zaltz acknowledged that mixed deformity is increasingly recognized. 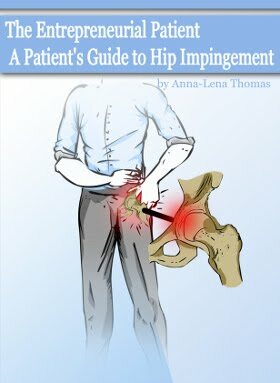 For example, a patient with impingement symptoms may also have elements of hip dysplasia. The physicians explained that these overlaps, lack of accurate classification systems, and disagreement on definitions have made diagnosis and treatment challenging for doctors who are trying to parse clinical symptoms, exam findings and imaging. Dr. Kelly presented his process for obtaining “layer diagnoses” for the painful hip as compensatory soft tissue changes are common. He encouraged attempting to identify diagnoses for each layer. He identified Layer 1 as bone and cartilage abnormalities. According to Dr. Kelly, Layer 2 diagnoses are defined by abnormalities affecting the tissues of the hip capsule and labrum, which lack ability to function. Layer 3 diagnoses refer to dysfunction of the muscle (contractile) tissues. Layer 4 diagnoses include processes affecting neural structures, such as nerve entrapment syndromes. Dr. Kelly stated that these changes can be multiplex. For example, “core muscle dysfunction” may be the consequence of abnormal bone and cartilage (osteochondral) shapes; correcting the hip joint mechanics may best treat a case of pubalgia. In other words, issues related to the hip can co-exist but be cured by fixing the hip. For patients, dealing with multiple issues – possibly related to hip dysfunction – getting correct diagnoses and treatment is challenging. Not all doctors and clinics employ what Dr. Kelly calls "a hip center model” – a team of experts providing comprehensive care. Wouldn’t that be nice for all to have! Instead, many patients find themselves referred out to a number of different specialists who each looks at their specific area of medicine, and sometimes have very limited knowledge of hip impingement, FAI. At this point, patients with complex issues related to their hips, who cannot find adequate care in their hometown, might be better off traveling to doctors who are on the forefront of hip research and comprehensive care. If you are living with a complex pain syndrome that to the best of your logic starts with your hips (remember you are the one living in your body! ), but are not taken seriously by your doctors due to the variety of pain, presenting your doctor with the layered diagnoses model related to hip abnormalities is worth a shot. Hopefully, that can get you in the right direction of getting appropriate diagnostic tests – not just pharmacological treatment of your complex pain. Stay tuned – I’m going to do some more digging on this topic - and more! Source: American Journal of Orthopedics Blog and Community: AO North America Symposium on Surgical Preservation of the Hip. March 29, 2013. Alexander S. McLawhorn, MD, MBA (Resident Advisory Board Member of The American Journal of Orthopedics; and Orthopedic Surgery Resident, Hospital for Special Surgery, New York, New York. Great article, Thanks! I had labral tear surgery almost two years ago and I know something else is wrong. I have searched all I can and tried all the therapies I can figure out and pay for. Despite being told my labrum looks good, why do I find it hard to lift my leg? and why I am struggling to run most days and then out of the blue I can have a great day where everything works perfectly? I can see I probably got layer 2 fixed, but I am trying to explain to doctors and therapists what the layers 3 and 4 part as my muscles don't want to play well together and it feels like a "nerve' things is pinching my adductors and I feel tightness and pain up and down my leg and lower back that mysteriously comes and goes. I am now worried about layer one too, as I went to a surgeon who doesn't believe in FAI. Good food for thought here. 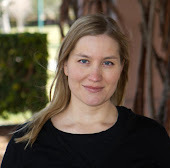 Great article Anna, am enjoying this new site! This is just what I wanted to read this morning! I(and many of my doctors) would consider me a complex patient. After bilateral scopes in 2011 I was left with one success (the right)and one mess (the left) the recovery was slooow and VERY painful but because I was new to FAI I had no idea that the left hip was not healing correctly. Almost a year later I had a re-operation on the left and they replaced the labrum this time. After, the hip improved drastically. When I say improved...I mean I don't walk with a cane anymore (I'm 29!!!). Now, a year out from that surgery and I still live everyday with pain. I've been in many kinds of therapy at this point and gone to see many specialists to no avail. My physical therapist thinks that I am on the road to a THR but, I'm too young now (not that I want that!) and a life of chronic pain will just not do. Anyhow, I'm glad (and sad) to hear that I am not the only patient after this kind of surgery going..what gives? Thanks for this, I know I must not give up! I'll keep looking for a solution. Yes, keep your spirits up and keep going forward. That's the only way. Soon more on the layered diagnoses to follow. Anna, I bought your ebook and did a quick read through the night I found your blog post. I wish I had this ebook while I was going through surgery options. I learned most of my information from message board posts and had to use them for guidance. I will be doing a more thorough read and posting information about your book on my blog this weekend. Even though I think I only had a labral tear (no FAI) this book was spot on in giving advice. I am glad to see I have been doing many things right: such as finding a MAT specialist. Thanks! Jim, thanks for your kind words. Feel free to let me know what your blog address is. 1) What became of the hernia diagnosis you mentioned at the end of the book? 2) Is it always possible to palpate a hernia and know it is there? 3) I have palpable pain at the pectineus muscle. Can that be referred pain from FAI/Labral tear or could it be a hernia? Any advice is welcome. Thanks so much. I will respond to you in private if you email me at theentrepreneurialpatient@NOSPAMgmail.com. Remove no spam.